Your body has an amazing ability to heal itself. Sometimes life brings obstacles that get in the way of that natural wisdom. Stress, responsibilities, environmental factors, injury, illness--these issues reorient our focus to the exterior world and block our ability to thrive. Acupuncture is like a big hug for the soul, bringing that care and attention back inward, and re-aligning the body's natural tendency toward health. If you've never had acupuncture and have questions, please reach out--I am always happy to talk about acupuncture & how it can help you. Also check out the Frequently Asked Questions page for lots more information. 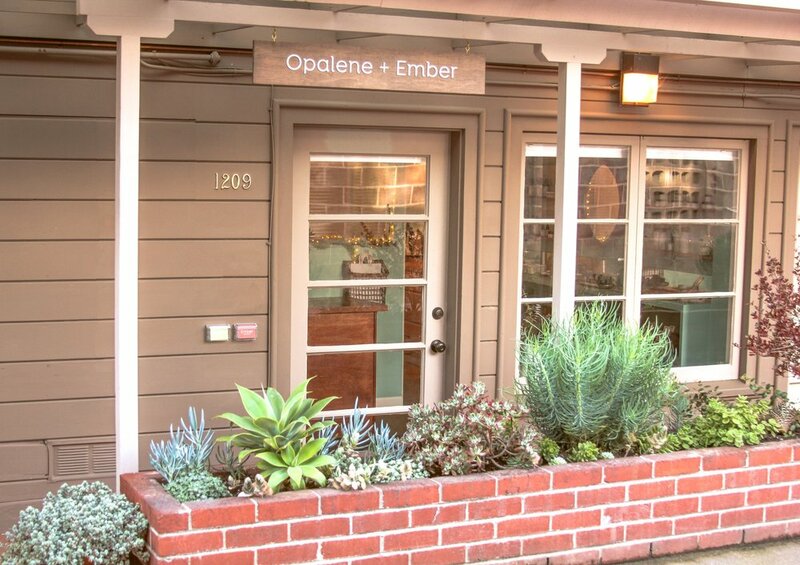 Ember Acupuncture shares an office with Opalene Skincare, owned and operated by Francesca Cavanaugh, a licensed esthetician. We are two like-minded women who believe in a natural, low-tech approach to health and beauty, using holistic remedies. You can learn more about Francesca and her services, as well as make an appointment, at opaleneskincare.com.